I love these novellas! It is a little something to tide you over until the next book comes out. I just love them! We get to hear Pucks POV this time. I loved getting into that pranksters mind a bit. I enjoyed seeing Puck and Ash's banter, playing off one another. Showing their true friendship in-between all that vow to kill each other stuff. This makes a nice little taste for what is to come in The Iron Knight. You are in luck because this e-book is free right now! Grab your copy from Amazon or from Harlequin! 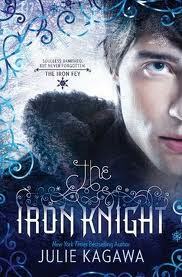 The Iron Knight is released on October 25, 2011! 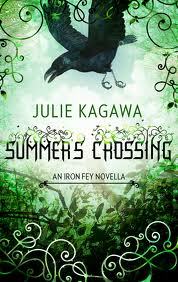 I'm reading it now, but I won't post my review until closer to the pub date. Just check out this cover though. Be still my heart, Ash you are looking at me! Not you, ME! Ha ha! The Iron Knight is told from Prince Ash's POV! FINALLY!! Thanks for letting me know it's free. Lucky you that you have The Iron Knight. I can't wait to read it. Could I ask if you know of any ARC Tours that involve Canada as well? I seem to be having difficulties with this.